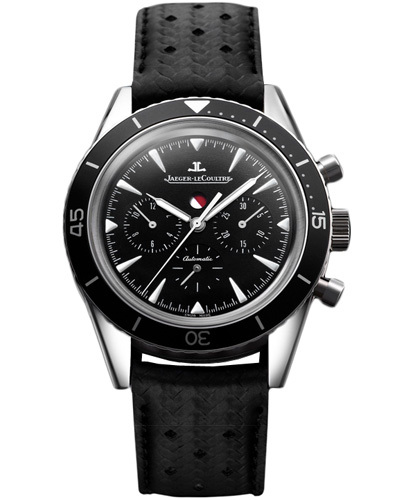 The Jaeger-LeCoultre Deep Sea Chronograph retails for approximately $10,800. The Deep Sea Chronograph features a classic diving look, with a stainles steel case, black rotating bezel with white indicators, black dial, three subdials, large crown and push buttons. The case-back carries the motif appearing on the 1959 watch, featuring a frogman surrounded by bubbles. 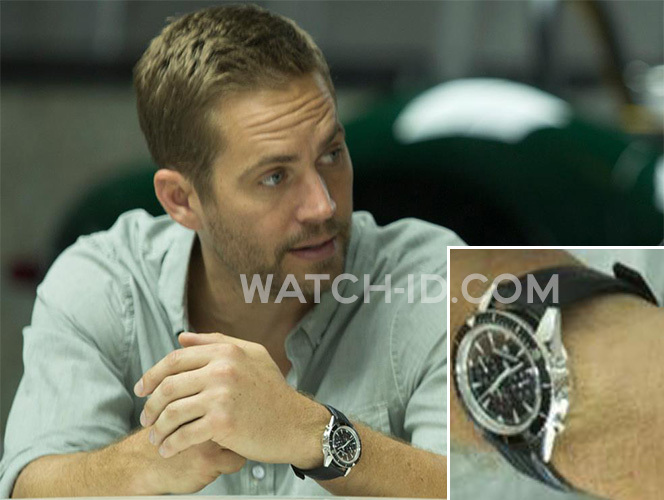 In the photos on the left, the perforated calfskin leather strap with criss-cross pattern can also be spotted. 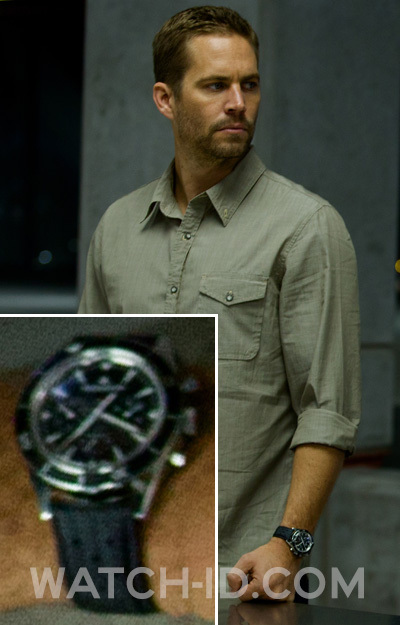 In the previous installment of the Fast & Furious series, Fast 5, Paul Walker also wore a Jaeger-LeCoultre watch, but then a Jaeger-LeCoultre Master Compressor Diving Automatic Navy SEAL.